Local fans were chagrined when beloved Burlington-based folk duo Avi & Celia — later dubbed Hey Mama when they relocated to Boston and plugged in — disbanded in 2010. Avi Salloway left to pursue a new musical path, Celia Woodsmith to study nursing. In the years since, Salloway has traveled extensively in the Middle East, studying music and working with humanitarian organizations trying to unite Israeli and Palestinian children through music. Interestingly, Woodsmith, who intended to put music on the back burner, career-wise, is now making national waves as part of the all-girl bluegrass band Della Mae. But that’s a story for another day. Salloway’s primary musical vehicle these days is as the leader of a Cambridge-based group called Billy Wylder. The band’s debut record, Sand &Gold, plays like a retrospective of Salloway’s own musical journey. It’s an artfully constructed album that seamlessly blends American folk, country and rock with the songwriter’s newfound love of global rhythm and melody. In less capable hands, such a diverse fusion could be a recipe for disaster. The annals of rock music are littered with awkward, bordering-on-insulting forays by Westerners into world music. But Salloway, as much an academic as an artist, deftly maneuvers through a rich landscape and delivers a record that would seem a spiritual cousin to Paul Simon’s Graceland. Salloway’s infusion of global influence is subtle. In truth, subtlety and nuance seem to have become prime tools in his arsenal. Where his previous efforts could be criticized for a tendency toward earnestness and showiness, here he takes a lighter approach that allows his, well, rootsy roots to coexist with his newfound worldliness. “Vineyard,” for example, features a propulsive rhythmic cadence, elastic bass and a sparkling guitar riff that seems to wink at Ali Farka Touré as much as, say, Vampire Weekend. 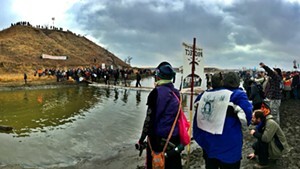 Other cuts, such as the dreamily swirling “Feathers” and the deceptively funky “Waterslide Alchemy,” nimbly weave influences from both East and West. In fact, Salloway is most successful when he’s dabbling in several cultural palettes at once. The record’s most distinctly American-sounding track, the acoustic blues number “Billy Wylder,” is easily its weakest and most derivative. All told, Sand & Gold is Salloway’s most impressive effort to date, in any setting. With Billy Wylder he has not only corralled a wealth of influences, but he has begun to transform them. Billy Wylder play the Sol Fresh Farm in Charlotte this Saturday, June 15. 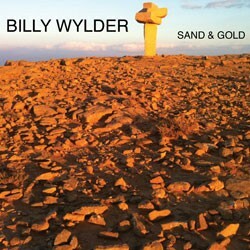 Sand & Gold is available at billywylder.bandcamp.com.